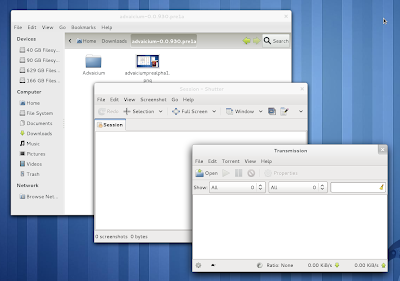 If you use GNOME 3 and Adwaita theme, GTK2 applications look different (as in ugly) than GTK3 apps. That's why maximo1010 @ Ubuntuforums has ported Adwaita GTK3 theme to GTK2. The theme is called Advaicium and is based on the original Clearlooks. The theme is not perfect but considering the different engines GTK3 and GTK2 themes use, I'd say it looks really good. Using Advaicium, you will basically continue to use Adwaita for GTK3 applications but GTK2 applications will use Advaicium. To install Advaicium in GNOME 3, extract the theme, copy the Advaicium folder to /usr/share/themes/ and use GNOME Tweak Tool to change the theme to Advaicium. To install Advaicium in GNOME 2 (I guess there aren't many people that want to use it in GNOME 2 but anyway), copy the theme to /usr/share/themes/, open the Appearance Preferences, select "Adwaita", click "Customize" and under the "Controls" tab, select "Advaicium". Please note that Advaicium is still in alpha so you may find bugs!